Big Bird, Robots, and Power Rangers — Happy Easter! What a glorious mess. 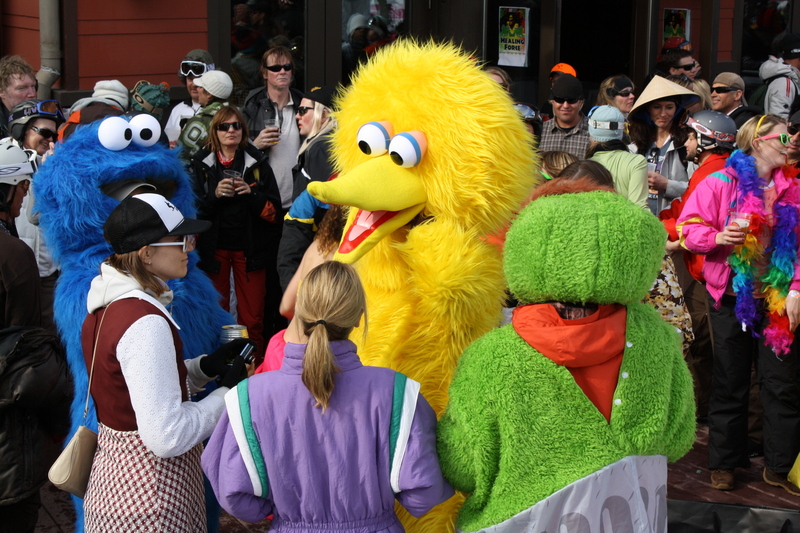 Those kids at Aspen Highlands know how to throw an end of season party. It’s a neon colored mix of retro-wearing dirtbags, rich snobs attempting to dress like retro-wearing dirtbags, and a whole bunch of WTF outfits, all fist pumping their alcohol swilling asses to the DJ…and when it gets too quiet, ski patrol launches the leftover avalanche bombs to the screams of the crowd.